We want everyone to have a safe and enjoyable Halloween and would like to warn parents, particularly of teenagers, about the dangerous Halloween activities that take place. 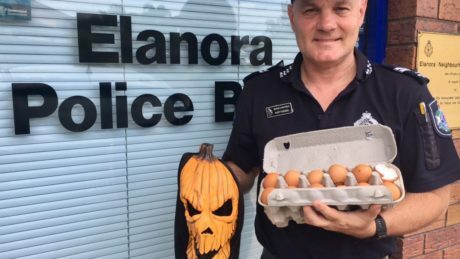 Every year we get reports of houses and sometimes people being egged. Anyone conducting such activities should be aware they could be facing charges of assault or wilful damage and would be liable for restitution. Anyone who has had it done to them will know the smell, cleaning and damage it does to paintwork on vehicles is very unpleasant. Police will be patrolling the area on Halloween to ensure that everyone has a safe and enjoyable evening. Young people are encouraged to stay in groups and if possible be accompanied by an adult especially those under 13-years-old. Consider joining your friends on your neighbourhood adventure – there is safety in numbers. We’ve also created some posters for you to display to help indicate whether Trick or Treaters are welcome at your house or not. Find the posters via the link below. Dared to be scared this Halloween? 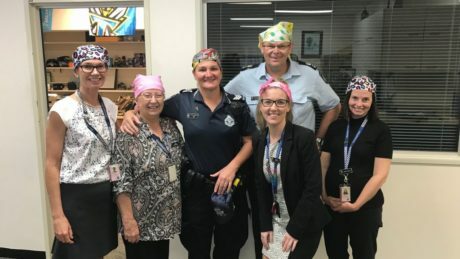 Today is National Bandana Day, a day where people are urged to buy and wear bandannas to support CanTeen in their work with young Australians battling cancer. This year the cause is very close to the hearts of Surfers Paradise police as my son, Harry, was diagnosed with Acute Lymphoblastic Leukaemia in February this year. CanTeen’s Bandana Day is a great way for us to show support and help make sure that young Australians don’t have to face cancer alone. For more information on the wonderful work CanTeen do or if you want to know how you can help, visit www.canteen.org.au/bandanna-day/. The 2017 Rotary Club of Broadbeach ‘Police Officer of the Year Awards’ were held at the Southport Golf Club earlier this week. 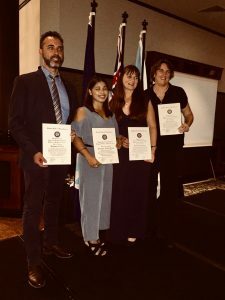 Four out of seven of the staff from the Gold Coast District Crime Prevention and Cross Cultural units were nominated for awards. The four nominees – Sergeant Lyndon O’Neill, Police Liaison Officer Jasyiyah Abdul Kadir, Senior Constable Tracey Clouston and Sergeant Holly James – were honoured and proud to represent the office. Sergeant James acknowledged the outstanding work that the entire team contributes including the 70 Volunteers In Policing and officers who have relieved in the office. “We could not achieve what we do without the help and support of the amazing diverse group of people who are passionate about working with the community,” Sergeant James said. 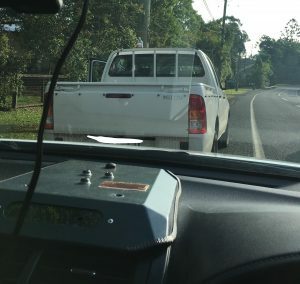 A 26-year-old Molendinar man has lost six demerit points and $621 after allegedly exceeding the speed limit on the Pacific Motorway early this morning. An officers from the Coomera Road Policing Unit was conducting speed detection enforcement on the M1 at Oxenford as part of Operation Vulnerable. Around 4.36am, a Holden Colorado was detected travelling at 139km/h in a 110km/h zone. Police intercepted the vehicle and spoke with the driver, who conceded he was “dreaming” when asked what speed he was travelling at. The 26-year-old man was issued with two traffic infringement notices – exceed speed limit by more than 20km/h but not more than 30km/k and P1 type holder fail to display legible red plates at front and rear of car. Coomera Road Policing Unit wish to remind all motorists to take driving a motor vehicle seriously and to concentrate at all times. Road safety – Everybody, every day. Officers from Gold Coast District Road Policing Unit and Coomera Station recently attended a community event at the Ormeau Girl Guides. We were on hand to discuss all things policing with the girls and their families with a focus on road safety messages. How to be safe pedestrians, cyclists or as a passenger were discussed, with officers helping parents instil and build a knowledge base on road safety with their children. Thank you to Ormeau Girl Guides for inviting us to your event. Police are investigating a large fire which has destroyed a number of motor-homes parked in a car yard at Arundel early this morning (October 17). At about 4.10am on Brisbane Road, a witness contacted emergency services after observing the fire which had engulfed approximately twelve vehicles. Olsen Avenue was required to be closed in both directions between Brisbane and Blanchard roads during the incident and was reopened at about 6am. Nil injuries as a result of the fire. Gold Coast District Officer Chief Superintendent Marty Mickelson today welcomed the release of the Queensland Police Service’s Statistical Review which demonstrated a reduction in drug, liquor and sexual offences across the district. 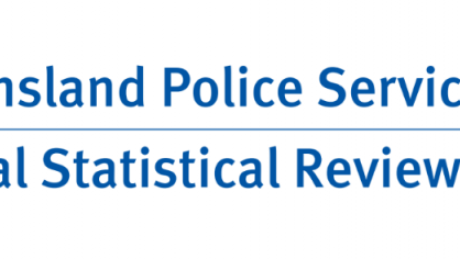 The Statistical Review represents a comprehensive insight into the level and nature of crime reported for each police district throughout Queensland. When adjusted for population growth, the overall crime rate across the Gold Coast District from 2015/16 to 2016/17 decreased by 0.7 percent to 58,960 offences. Over the 10 year period from 2007/08 to 2016/17, Gold Coast District recorded a decrease in the rate of offences against property. “When adjusted for population growth, the overall crime rate of offences against property over the past 10 years decreased by two percent, while offences against the person increased by 27.3 percent,” Chief Superintendent Mickelson said. The rate of robberies across the district increased by 16.6 percent in the past year though has decreased over the past 10 years by 23.1 percent. In 2016/17, unlawful use of motor vehicles increased by three percent, unlawful entry into houses increased by 6.9 percent and unlawful entry into shops increased by 76 percent. Chief Superintendent Mickelson urges the community to be vigilant with the security to their houses, vehicles and other property items, with the rate of offences against property increasing by 3.2 percent in the past year. “A lot of break-ins and property thefts are opportunistic and are preventable,” Chief Superintendent Mickelson said. “We urge the community to use all available security options on their property to prevent opportunistic thefts as a result of unlocked or unsecured property. The number of liquor offences across the district decreased by 32.2 percent. “It is positive to see offences involving liquor decline in the district, however 156 in the past year is still too high and police will continue to provide a large presence in those areas,” Chief Superintendent Mickelson said. Fraud offences increased by 14.9 percent. Computer fraud increased by 61.3 percent, credit card fraud increased by 9.9 percent, identity fraud increased by 10.2 percent, other fraud increased by 20.2 percent and cheque fraud increased from 10 offences in 2015/16 to 22 in 2016/17. 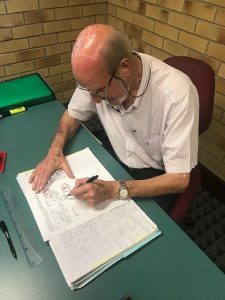 “Over the past 10 years fraud offences have increased by 84.6 percent and with ongoing advancements in technology, fraudulent activity continues to be prevalent in our community with 4,102 offences reported in the Gold Coast District over the past 12 months,” Chief Superintendent Mickelson said. In the Gold Coast District, the rate of Domestic and Family Violence Applications decreased from 623 in 2015/16 to 559 in 2016/17, or 10 percent in the rate of applications per 100,000 person. “In 2016/17, approximately 76 percent of applications were police initiated,” Chief Superintendent Mickelson said. The number of breaches to Domestic and Family Violence Protection Orders increased from 1,909 in 2015/16 to 2,394 in 2016/17. “The increase in reporting of domestic and family violence can be attributed to the proactive work being done by police in the district and from the community gaining more confidence in reporting incidents to police,” Chief Superintendent Mickelson said. The Annual Statistical Review 2016-17 is available on the QPS website. Note: All percentages used in this release relate to the number of reported offences per 100,000 people. Media seeking regional and district crime statistics from the Queensland Police Service 2016/17 Annual Statistical Review can locate details on the QPS website at www.police.qld.gov.au. Police have received reports of vehicles travelling too close to cyclists and sounding warning devices unnecessarily. One driver was issued with an infringement notice for driving a defective vehicle and issued with a $121 fine after footage was provided of the driver overtaking close to cyclists and the vehicle sliding in a wet corner. The Currumbin Valley is an increasingly popular route for cyclists and will continue to be in the lead up to the Commonwealth Games. Motorists can get frustrated when stuck behind a group of cyclists, however, cyclists are lawfully entitled to do so, and it is a proven safe practice for cyclists to ride in this manner. “Motorists can lawfully overtake cyclists across double centre lines when safe to do so,” under section 139A of the Transport Operations Road Use Management (Regulations) 2009. Cyclists can lawfully ride two abreast, the same as motorcycles and horses. Cyclists can lawfully ride three abreast when overtaking. 76 cyclists on the Gold Coast have also been issued infringement notices for a range of offences from not wearing helmets to, failing to stop at red lights, using mobile phones and failing to give way. Motorists sometimes become impatient and frustrated when caught behind cyclists. Cyclists also need to be considerate when riding in groups to try and facilitate vehicles being able to pass. This can be quite difficult on certain roads however cyclists also need to heed the ‘share the road’ message. Cyclists are vulnerable road users and an impact from a vehicle is potentially life threatening. Many cyclists are riding to train for charity rides which raise a significant amount of money for organisations like the Heart Foundation supported by the upcoming Brisbane to Gold Coast Bike Ride on October 14. ome are elite athletes, and some just ride for health and fitness. The Darren Smith memorial route and the Luke Harrop Cycling Criterium circuit are reminders of that vulnerability. Irrespective of why they are on the road, cyclists and motorists must share the road. On Wednesday September 27, Senior Constables Brenda Lee and Beau McNamara held a community event at Reisenweber Park Jacobs Well, inviting children, youth and community to engage in a range of fun activities. Over the past 10 years while stationed at Jacobs Well, I have been involved in many youth and community events but I reckon that this event was the best one yet. These events encourage a positive interaction between police and families and helps emphasises that by working together we can create a positive and safer community. These events also help build rapport with the kids which helps them see us as being approachable. We want to build relationships with the kids so they are not afraid to speak up if they ever need help and aware that police are there for them in the good times but also in the bad times. The activities at Reisenweber Park included laser tag, dunking machine where Senior Constable Beau and Rocky Point Fire Service Fighter Brad Spiers in their uniforms started the water activities with much bantering and taunting that afterwards there was no way any youth there did not want to throw the ball and dunk them. Laser tag was continually flowing with endless line of kids aged three upwards. Parents, police and kids chased each other around to win the 20 minute game rounds. Thanks to Volunteer Firefighter Cutter who took control for us. We had skateboard coaching from Jay Hetherington where learners from three years up were giving it a go. The velcro wall annihilated adults and kids who just dressed up and threw themselves to stick as high as they could, however at times many were required to be helped pulled off. Mounted Police attended and amazed all the community who were taking photos in awe of our beautiful police horses. 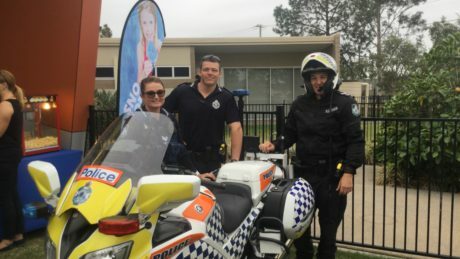 Senior Constable Adam Samuels from the Coomera Road Policing Unit attended and we noticed that every kid, big and small, liked the motorbike. 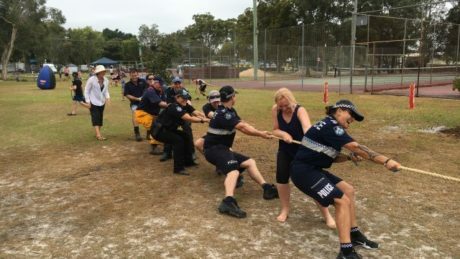 There were a couple of tug of war challenges with the first one seeing police and Rural Fire Service against every kid there, whereas some adults were encouraged to jump in and help our team just to uphold fairness. Senior Constable Beau McNamara is also a Volunteer Firefighter with Rocky Point and ended the event with sprays from high pressure fires hoses making it rain down on the kids in the tennis court. Due to the success and feedback of this event, Jacobs Well Police are planning to run this annually on the last Wednesday of school holidays between Term 3 and Term 4. There is also discussion about a mid-year evening event as well. Beau and I would like to thank the Jacobs Well and Districts Progress Association, Noel Haase and his volunteer firefighters, Beenleigh PCYC and our police agencies for their continued and valued support.